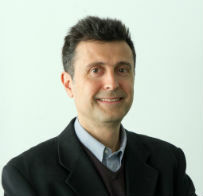 Gabriele Beccaria is a scientific reporter and editor of Tuttoscienze, the weekly supplement devoted to science and medicine of the Italian daily La Stampa. He graduated in Humanities from the University of Torino and in Journalism from Boston University and usually covers news regarding major scientific discoveries and controversies involving relationships between research and society. He is co-author of two ebooks: Science and Democracy with Andrea Grignolio and Before It Happens with Francesco Vaccarino.